Tony's Talking Pictures Blog: New in Theaters Friday February 8, 2019 "What Men Want" and "The Lego Movie 2: The Second Part"
New in Theaters Friday February 8, 2019 "What Men Want" and "The Lego Movie 2: The Second Part"
In the film a female sports agent, finding it tough to compete in the male-dominated career, suddenly gains the ability to read men's minds. Of course, “What Men Want” is a re-do of the 2000 film “What Women Want,” starring Mel Gibson and Helen Hunt. In this updated version, we find Taraji P. Henson is given the ability to listen to men's thoughts and trying to navigate through the battle of the sexes. 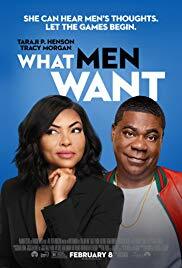 The problem with “What Men Want” is that it's simply not a very funny film. The movie is too agenda-laden with a lot of male-bashing and loaded with less than likable characters, making the film too heavy at times and ultimately pushing the audience away. In the end, “What Men Want” just isn't worth the ticket in. 5 years after the events in the first film, our heroes have hit hard times where everything isn't quite as awesome as it used to be. Now living in an apocalyptic world, a battle begins with aliens from outer space. 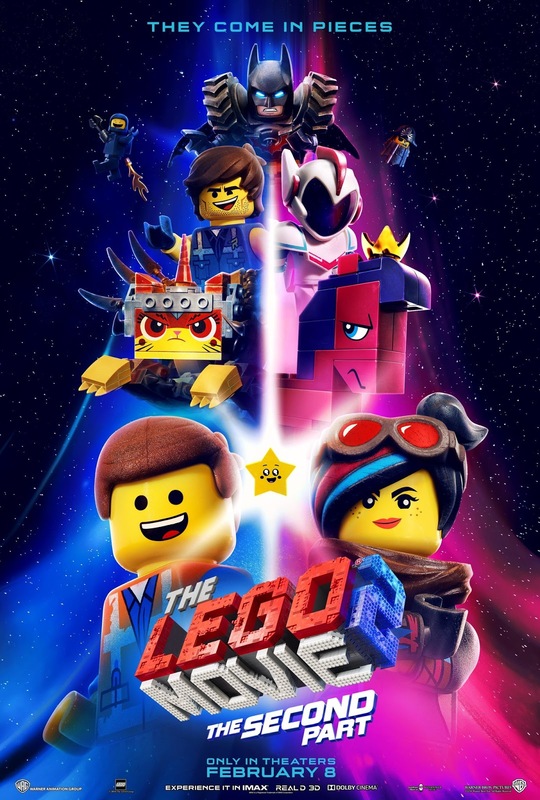 “The Lego Movie 2” is 3 years too late. Over the last couple of years, Warner Animation has given us several Lego-based films in that time span and now the franchise is suffering from over-exposure and tired writing. Had this film been released 3 years ago, I think it would have been received much better and would have been a perceived as a 'crisper' satire rather than what it is, an average kid's film with no teeth. In the end, “The Lego Movie 2” feels desperate and forced. It gets a C and is rated PG.